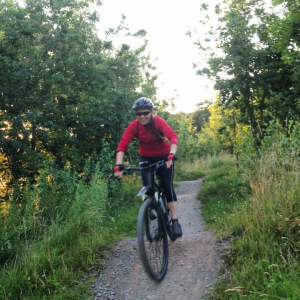 This rider profile interview is with Sarah, 42 from Leicestershire. 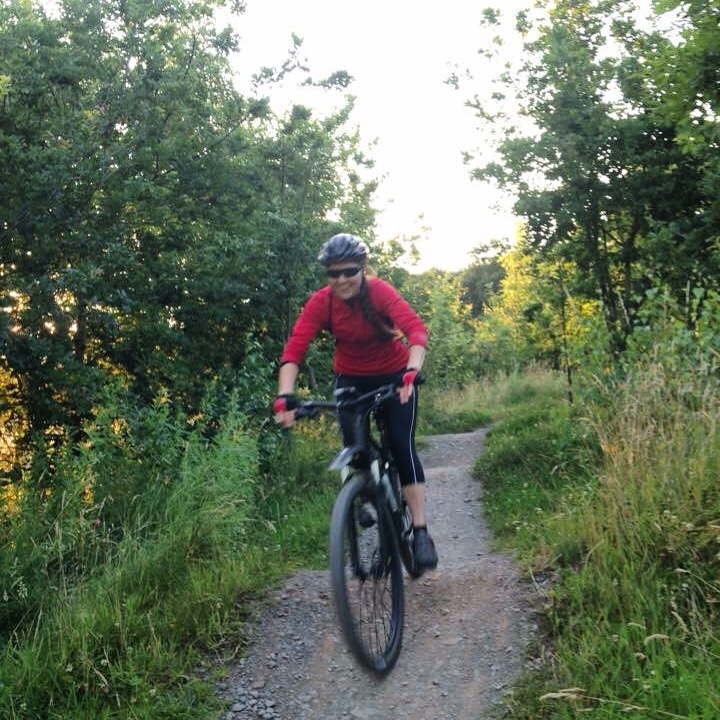 Sarah is one of the first people I met through cycling when I was looking for a group to ride with and as she lives just down the road from me, we got to know each other whilst riding together on summer evenings and on the occasional Saturday morning. 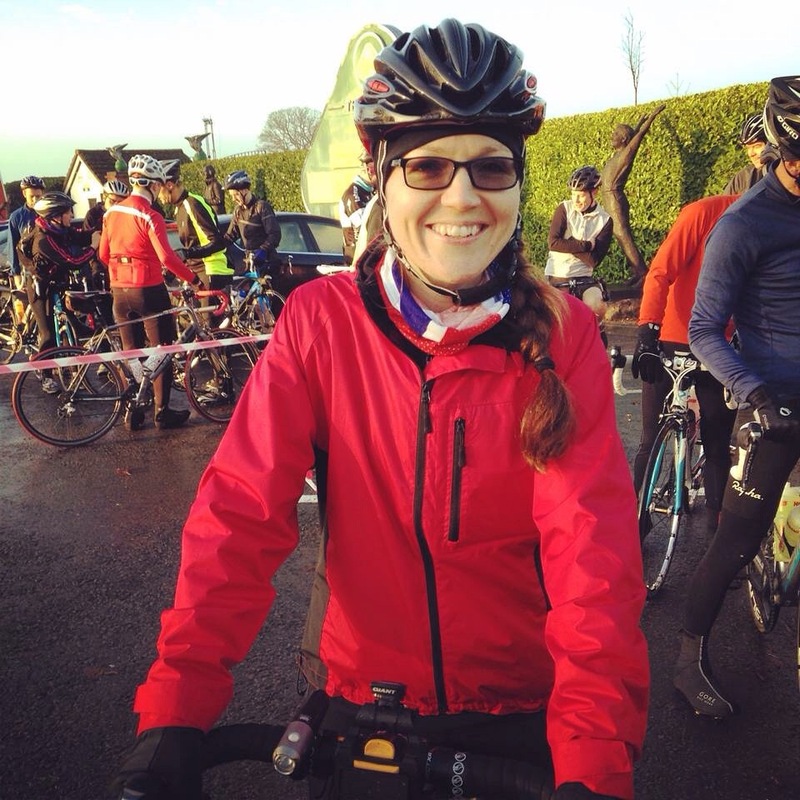 Sarah commits her time each weekend to running her sky ride social group the ‘Wistow Wonderers’, the group meet at a local cafe car park, ride a route of around 25-30 miles at a sociable pace before heading back for coffee and cake. Organisation is one of Sarah’s strong points, an excellent route planner and a lover of maps. She always has a map of the route printed off and usually has everything you may possibly need with her too. 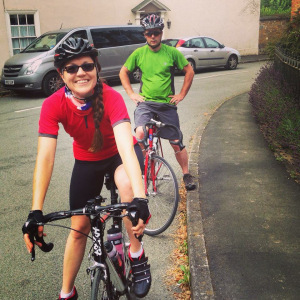 I asked her a few questions about her cycling, her bike collection and plans for the future, amongst other things too. I started cycling in April 2014, thats when I got my road bike. I know you have a small bike collection! What bikes do you have and which is your favourite? I have a road bike, a mountain bike, a cyclocross and my Pendleton. I love them all! I like riding my cyclocross bike over winter on the road. Mountain biking and road cycling I love all year round though. My Pendleton I love just for going to the shops or the cafe, I don’t get so much chance to ride it though so I’m planning on selling it and buying a touring bike. 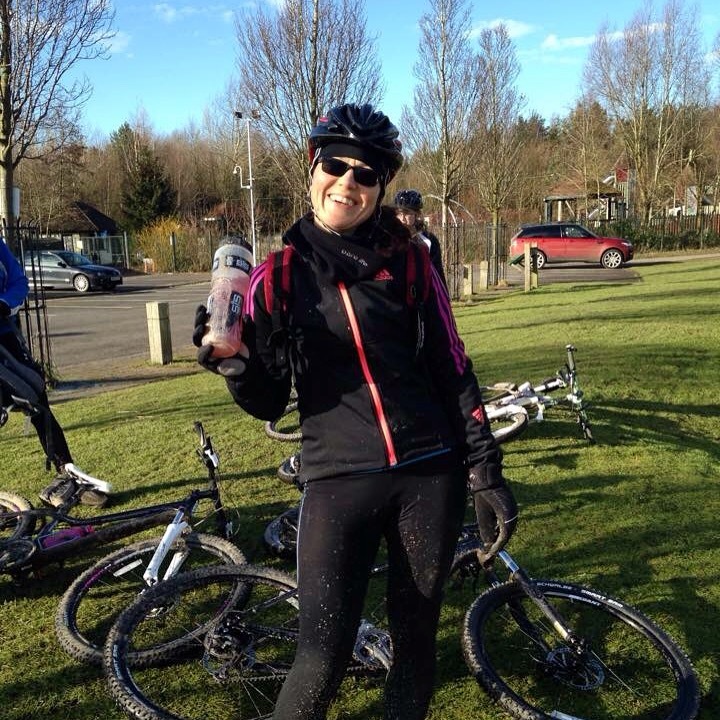 You give up quite an amount of your spare time to run your cycling group every Saturday, whats the background to that? I was looking for a group to ride with as I was cycling quite a bit on my own. There wasn’t a group nearby and so i decided to set up my own. I created a ride on the Skyride website, and wasn’t quite sure if anyone would even show up. I thought to myself that if no one turned up that’s not a problem because I would be on a ride anyway, but if people came that’s great . For the first few weeks it was just myself and one other person but then slowly the group has grown. Now there is usually around 7-10 of us, it’s always great meeting new people and I have made some really great friends through running the group. I can’t always make Saturday because of other events but the group still meet and cycle and we communicate through the Wistow Wonderers community Facebook page. I know that your gluten free and vegetarian, do you find it difficult to eat the right thing to fuel yourself for cycling? Not at all, I try and eat really healthily and can find alternatives for everything to make sure I eat the right thing. I don’t like buying sports products either, gels or sports drinks as I like to use more natural alternatives. I make smoothies quite a lot and like to take nuts and dates on rides with me. Learn to fix a puncture, take a drink and food with you and look for a group nearby to you. There are loads of different groups and so don’t be disheartened if the first group you find isn’t the right one for you. Then ride on your own to test yourself and see how you have improved. I think it’s good to have a training loop ride that you ride on frequently because it’s a good way of seeing how you are improving too. Most of all enjoy cycling! Have you anything planned for 2016 yet? I would love to ride the Italian coast to coast, it would be partly a challenge but a holiday too. Also I’m planning a trip to do some touring up in Scotland. I haven’t done much touring before but it’s always really appealed to me so I have decided to go for it. The plan is to get a train up to Glasgow and cycle route 78 with a small group organised by one of my friends. I’ve signed up for Ride London and I’m going to do the London revolution 185mile event. I’m also planning on entering lots of Audax events across the country.